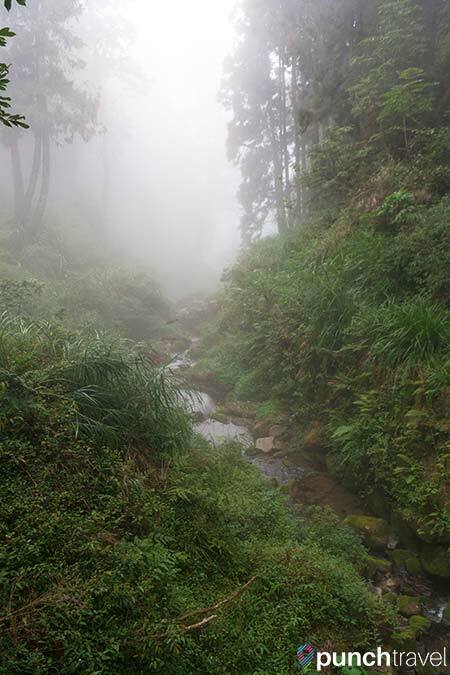 The eastern part of Taiwan is covered by five mountain ranges. 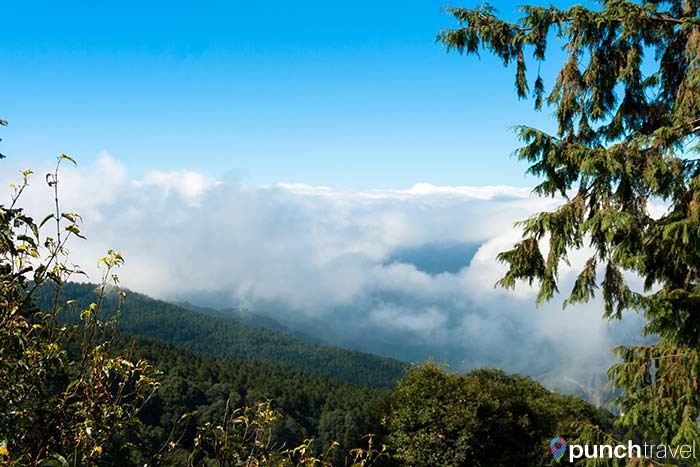 Alishan is not a single mountain, but a ridge of Yushan (Jade Mountain). 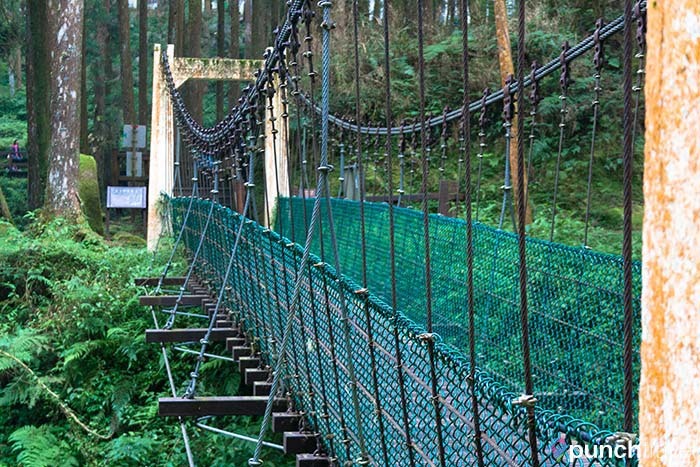 The Alishan National Forest Recreation Area is east of the city of Chiayi at 2,000-2,700 meters above sea level. We decided to make a stop here on our way back to Taipei from Kenting. We spent the night in Chiayi in order to head out early the next morning for Alishan. 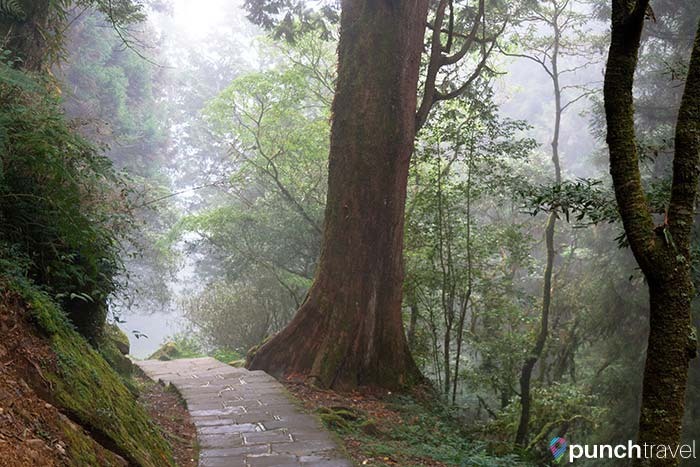 There are several ways to get to Alishan, including by train, shuttle bus, or taxi. We opted for the shuttle bus. The Alishan Express Bus, number 7322 runs every day from the Chiayi Railway Station. Note that a bus runs from the Chiayi High Speed Rail Station, but runs less frequently. We took the 7:10am bus. It’s technically a city bus making stops all along the way. The first 15 minutes or so are within Chiayi city. The rest of the ride is another story. The rest of the 90 or so minutes are spent winding left and right through the mountain range. The scenery is breathtaking – if you can bear to look outside without feeling queasy. I am quite prone to carsickness and was contemplating exit strategies should I need to throw up. Luckily, I and my breakfast made it to the top without any incident. We passed through the entry gate and had to get off the bus to pay our park entry fee. The fee is usually 200 NTD but was discounted to 150 NTD because we took public transportation. 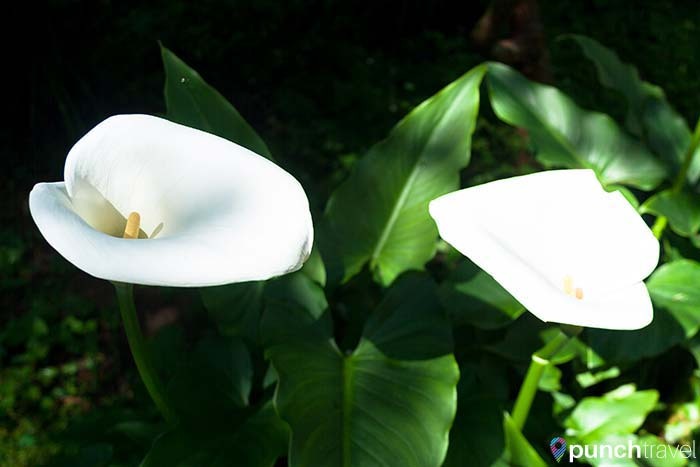 Going green and saving green – a win-win! 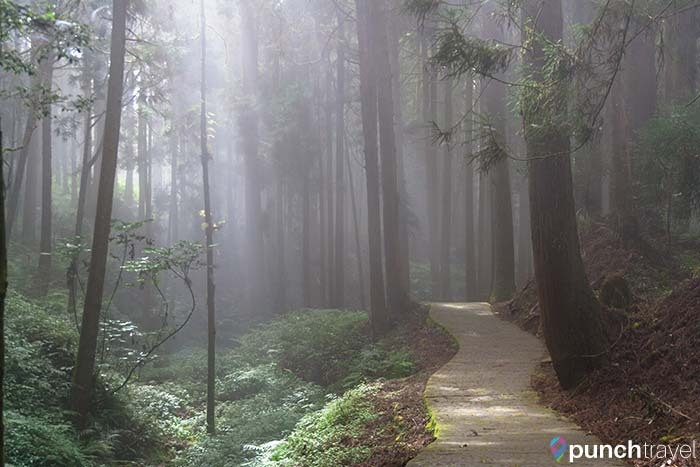 To get around the park you can take a shuttle bus but the best way to enjoy Alishan is by hiking through the forest trails. 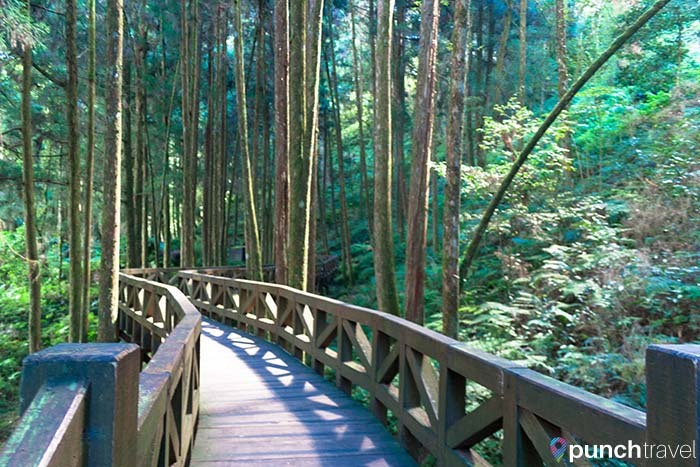 The hike is easy because the paths are mostly boardwalks or paved. The most difficult part can be compared to walking up several flights of stairs. However the elevation reaches more than 2,000 meters, so at times we were out of breath. The century-old forest railway was originally constructed for logging operations on the mountain. Today, it is a nostalgic and picturesque to travel through the mountain. The train originates in Chiayi and continues all the way to Zhushan Station, more than 2000 meters above sea level. 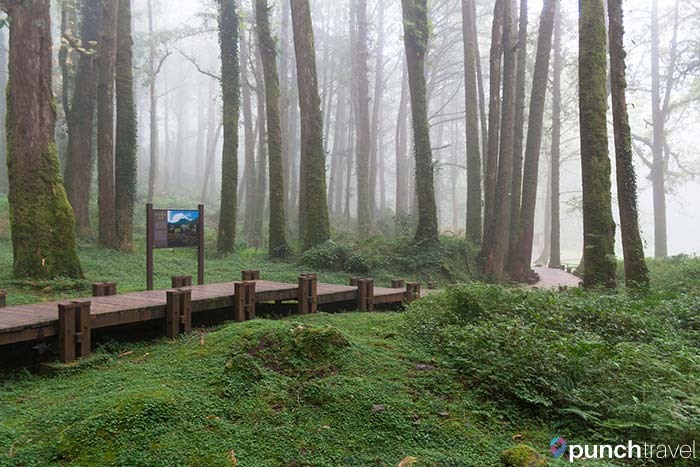 The ecology of Alishan has nurtured the growth of cypress trees for hundreds of years. Within the park, there are 36 cypress trees with an average age of over 1,000 years old. 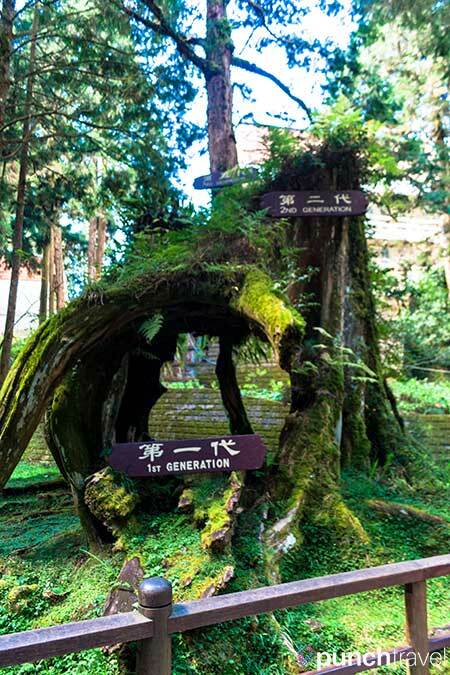 Two of them are over 2,000 years old: Thousand Year Cypress and Xianglin Sacred Tree. 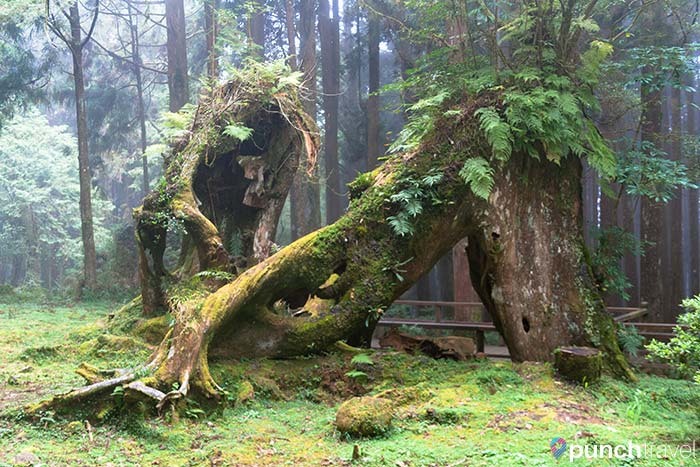 This tree contains three generations of life existing in the same trunk. 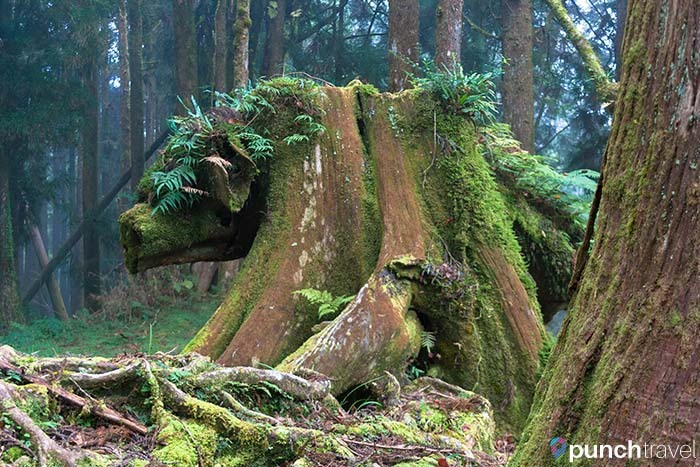 A tree stump that looks uncannily like a pig. 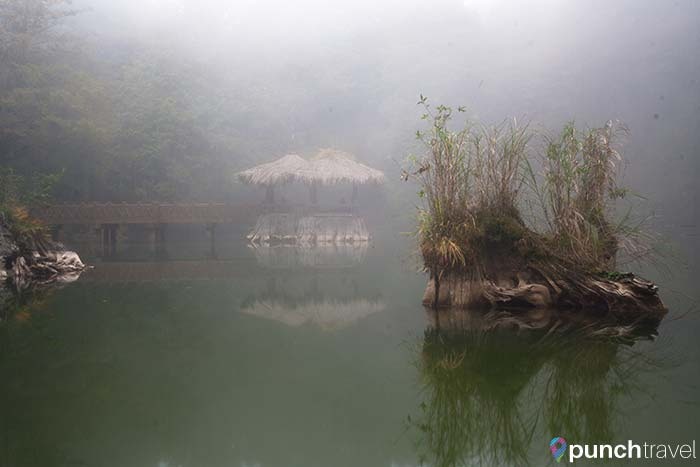 The Sister Ponds are composed of two adjacent ponds. The area is silent and the water is absolutely still. The clouds hover above the water like ghosts haunting sacred ground. The two pavilions provide a place to rest and reflect. 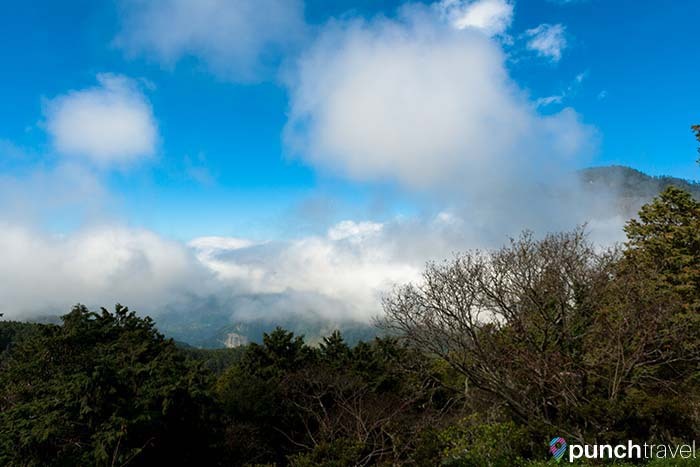 From Ciyun Temple, you can view a sea of clouds. The clouds constantly swirl and move around, so the scenery always changing. It is a popular vantage point to watch the sunset. Shouzhen Temple is a the larger of the two temples, constructed in 1933. 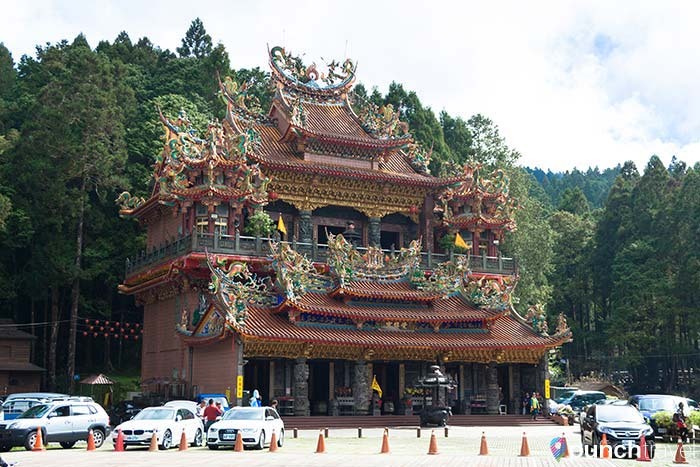 The temple is dedicated to the Taoist deity, Xianwu. Every year on his birthday March 3rd, marks the annual migratory return of the Brahmin moth. The moths congregate on temple statues – an event that is considered a miracle by believers. 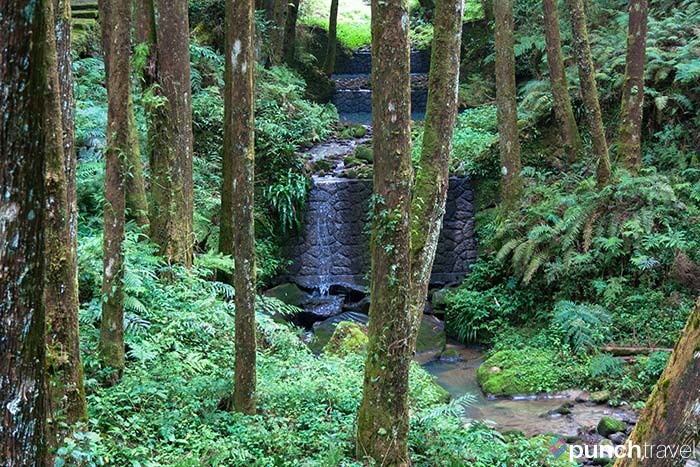 A gentle waterfall weaves through the forest. 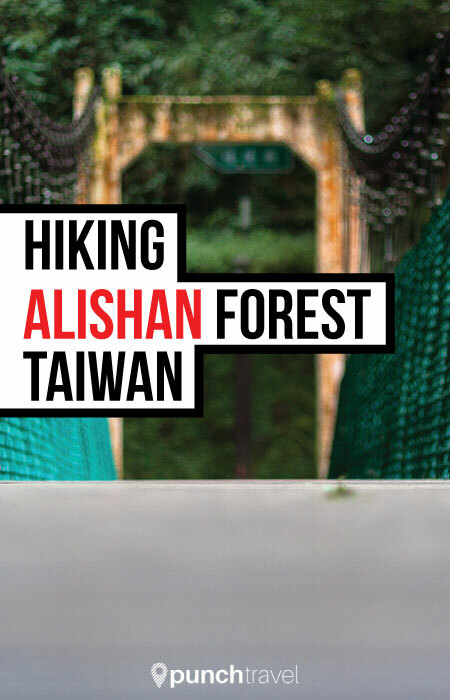 We spent about 4-5 hours at Alishan and were able to walk through most of the main area of the park. Bus tickets back down the mountain can be purchased at the 7-Eleven near the visitor’s center. Luckily the ride back down was much less nauseating! I would have liked to see at least a photo of the train and even of one of its geared Shay locomotives. I can guarantee that on the train Grace’s breakfast would have even m ore secure than it fortunately turned out to be.Otherwise th travel report is interesting and informative. The Alishan Railway is twinned with the Welshpool and Llanfair Ry in mid-Wales. Thanks for reading and sharing the information about the sister railways. I hope I’ll have the chance to visit Wales someday and take a ride!